Easy 4-Ingredient Corn Bread | Mexican Recipes, Quick and Easy. This corn bread has the texture of custard rather than a bread, but in Mexico, we call it bread. So, I decided to call it corn bread. You only need four ingredients to make it, yes, you read it well, only four ingredients. And the best part, everything goes into the blender! Do I need to say it’s easy to make? I don’t think so! The corn we use in Mexico is so different from the one you will commonly find here at the supermarkets. 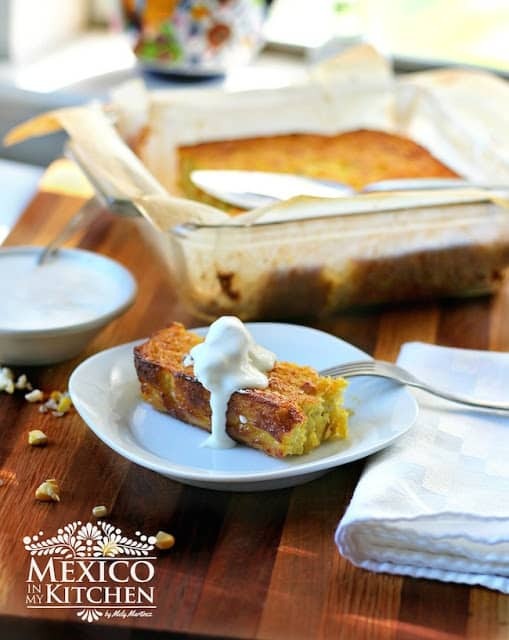 Our corn is not as sweet and juicy as the one found in the USA, but it does have a higher content of starch, which is why when we try to make typical cornbread recipes from Mexico, the results vary. The bread will be dried and with a solid texture if using Mexican fresh corn. 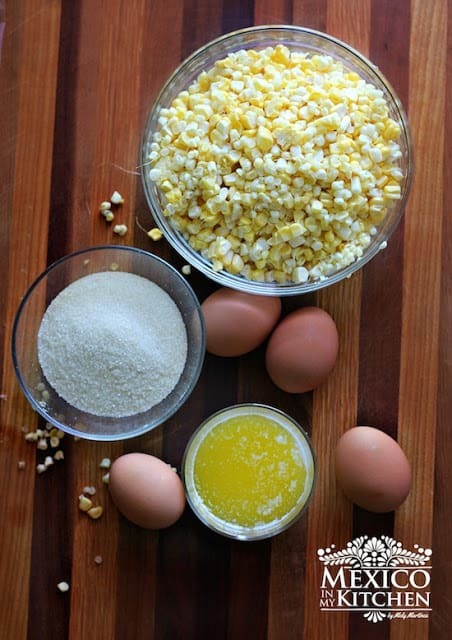 Place corn kernels, sugar, and eggs in your blender. Process for a few seconds to mix. Add the melted butter and process for a few more seconds until mixture is homogenous. Pour the mixture into the prepared baking pan. Bake for 45 minutes or until a toothpick comes out clean when tested. Let it cool before cutting. Serve with a dollop of cream or a mix of cream cheese and cream. This corn bread has the texture of custard rather than a bread, but in Mexico, we call it bread. So, I decided to call it corn bread. You only need four ingredients to make it, yes, you read it well, only four ingredients. And the best part, everything goes into the blender! Preheat oven to 400F, grease your baking pan with butter, line the baking pan with the parchment paper, and grease the paper. Set aside. As mentioned above, this recipe will render a very moist bread, the consistency will be very similar to that of a crumbling flan. If you want, you can add one cup of all-purpose flour to have a more solid bread. If you decide to add the flour, do so at the end of the mixing process. I will have to make this soon.It sounds delicious and like that it has fresh corn. 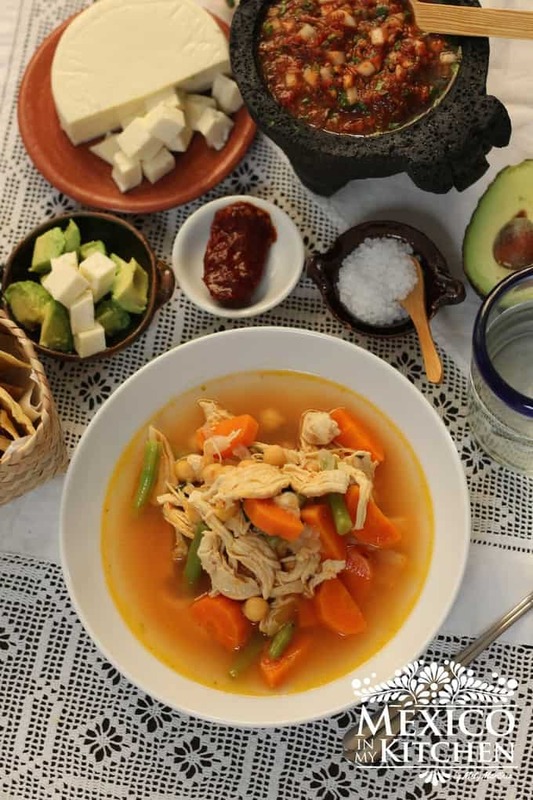 I made Enchilada soup yesturday, this corn bread should go well with my soup, and I will add that cup of flour for corn bread, thanks Mely-will tell you how it turned out! Mely, your cornbread looks so good! I will try this when we have fresh corn. I made this tonight and it turned out great. Thank you for the recipe. Thank you for trying the recipe! Happy cooking! Do you mean corn from the can or corn from the stack ? Fresh corn from the cob. 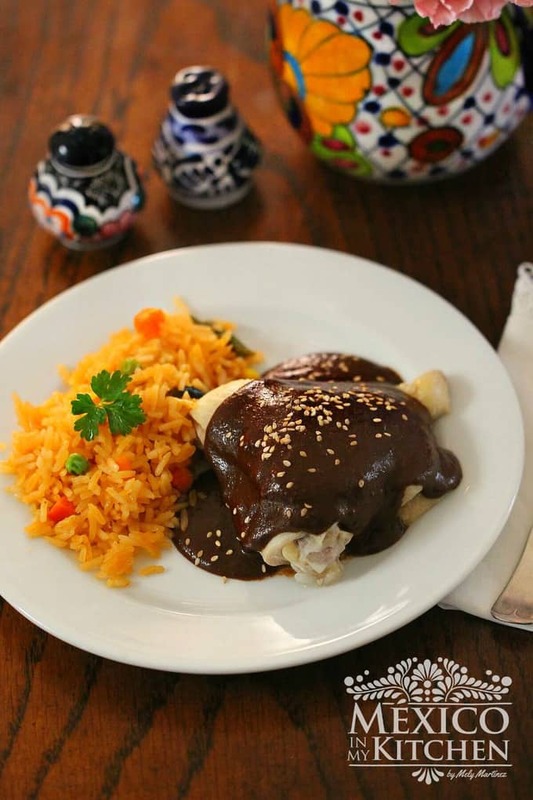 There is a tutorial for tamales and another for tortillas on the blog. The corn tortillas tutorial also includes a video.